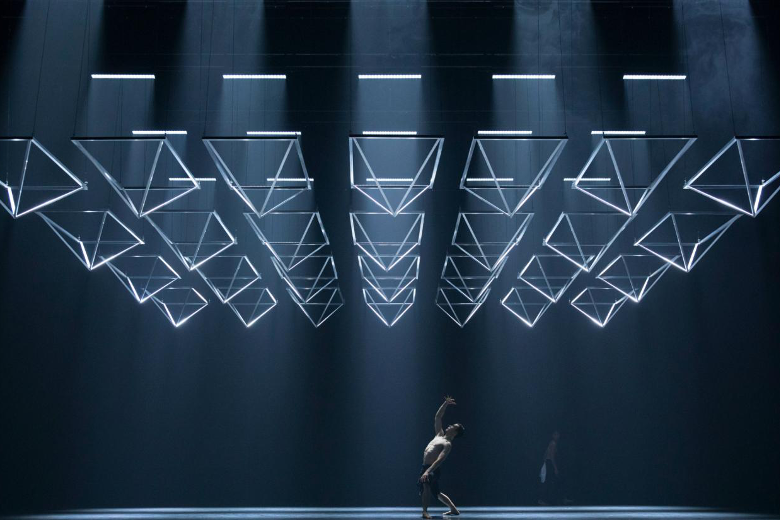 Last year US musician Jlin produced the soundtrack to Wayne McGregor’s most recent ballet piece Autobiography which recently had it’s Germany premiere at the Movimentos festival. The British choreographer who has previously also worked on videos for Radiohead (“Lotus Flower”) and Chemical Brothers (“Wide Open”) based the work on the sequencing of his own genome. Here Jerrilynn Patton aka Jlin speaks about the collaboration – and about being a godmother to Holly Herndon‘s and Mat Dryhurst’s music algorithm called “Spawn”. When you were asked by choreographer Wayne McGregor to work on “Autobiography” what were the first questions you asked yourself in order to start making the music? The first question I actually asked myself was “Is Wayne sure I’m the person that he wants to compose his ballet?” Once I got past that initial question the next question I asked myself was what sounds am I going to use? I then began to research genome code readings since Autobiography is based on Wayne’s entire genome. Translating Wayne’s genome reading through sound was the goal, and the biggest question was how was I going to deliver? The music takes place in a very different context that you’re work usually plays in. Were you interested in contemporary dance before? And how did this new context inform the music you made for the piece? I’ve always had interest in contemporary as well as modern choreography. My first interest was when I was introduced to Alvin Ailey performances by my Mum at an early age. Now truthfully I never wanted to be dancer myself, but I have also been fascinated with choreographed movement. The context that Wayne gave me was a huge help to my approach in composing each piece. Every score is its own entity and has its own energy, just like every code translation of Wayne’s does. Autobiography is like something I’ve never done because I revealed a side of my creativity that no one has ever heard before. Wayne allowed me, through Autobiography to actually score. I will always be forever grateful to him for that. Wayne trusted me to write a piece to the essence of his being and that is an eternal honor. 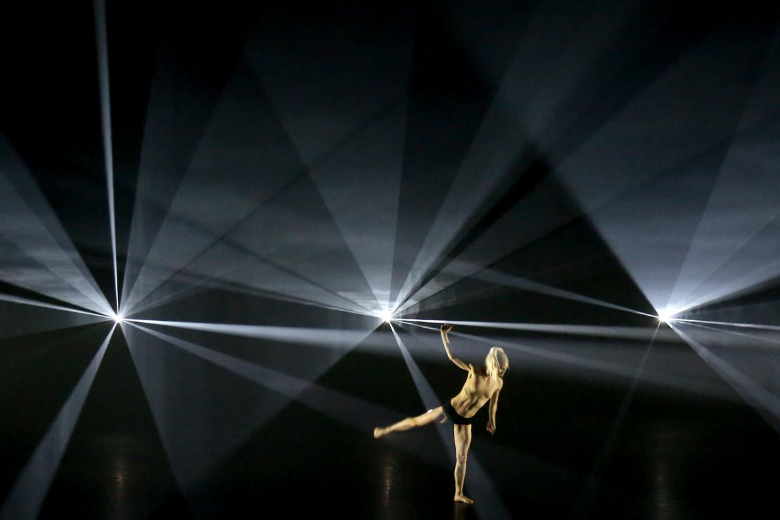 How did you collaborate with Wayne McGregor? When did you get to see the finished work for the first time? What were your thoughts when you saw the dancers reacting to your music? The first time I got to see the final work was in rehearsal which took place at Sadler’s Wells in London. I got to play from the sixty piece orchestra pit by myself! I was beyond thrilled. Studio Wayne Mcgregor and I became a family on this journey. This was bigger than just a performance or ballet. When I saw the dancers react to my pieces for the first time I was in such shock and awe. The feeling was overwhelming. It still is. On a different note: Holly Herndon says in the new issue of Groove that she’s working with an algorithm called “Spawn” for which you are a kind of “godmother” since you provided it with some of your rhythms. Did you already hear any of the progresses it made? What did you think? Spawn is sweet and a very fast learner. When I first heard Spawn processing my rhythm I was quite impressed. I can’t wait to see what it does next. Holly and Mat Dryhurst are geniuses, but we then again we all know this. Jlin will perform as part of the 100 Years of Beat event at Berlin’s HKW on Friday 27th.